By Kristen Matthews, Christel House South Africa, 2010 graduate. “I was nine when I started at Christel House in 2002. I had already learnt the ways of hardships and poverty. My mom worked long hours and my father was unemployed, so every day after school, my brother and I ran home to fetch our baby sister from the neighbor’s house. We would juggle changing diapers, doing homework and doing our chores before our parents got home to a meal cooked by one of us. Growing up in notorious Manenberg (a township in Cape Town), I always hoped for something better­­–­­­a big home filled with toys and happiness. But my home was no different than our neighbors’ homes, where substance, physical and drug abuse are served with breakfast, lunch and supper. Unemployment is high. Poverty greets you at dawn, gunshots wish you goodnight and drug addicts want to be your friends. But, Christel House was my safe haven. There, everything changed. I went from unhappy and unlucky, to being the happiest and luckiest kid ever! At Christel House I was taught values, morals, etiquette, communication skills, emotional intelligence, education, happiness – everything. The journey of Christel House was precious. From being picked up in the morning, to receiving wholesome meals, quality education and lifelong values, I learned Christel House was my family. A Christel House teacher taught me fencing and later I became a qualified fencing coach. 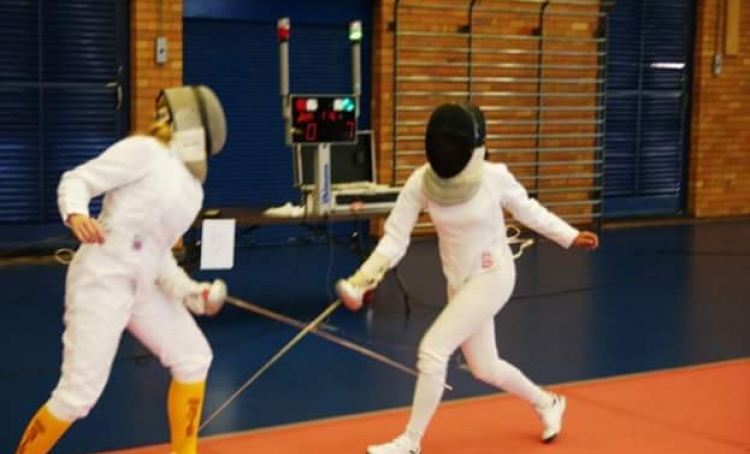 On weekends, I offer free fencing lessons to children in Manenburg. I also help young people from my community make decisions about their future, apply to school or find meaningful jobs, just like Christel House helps me and 190 other graduates. Your support is helping Christel House South Africa students, like Kristen, attend college, pursue their careers and accomplish their dreams. That’s the power of your investment. Donate today.